The following is offered in Santa Cruz & Santa Clara Counties of California Only! Would you like to have a birthday party for your child where everyone gets to sing, dance and play? Especially great for parties with mixed ages! It’s a wonderful way for everyone at the party to celebrate together by combining singing, dancing, instrument play and a rousing “Happy Birthday” finale. Your family and invited guests (regardless of age) will play, laugh and sing and help honor this special day in a very special way. We come right to you for a fun, musical celebration of life and joy. So we’ll come to your home, the park, whatever venue you choose – or you can rent our eastside or westside Santa Cruz classrooms for the party. We’ll work with you to tailor the music and activities to playfully engage everyone plus include your child's and family’s favorite songs or chants. We’ll bring the instruments, music, and a special gift for the birthday child too! All this for only $174 plus a $25 non-refundable booking fee for up to 14 children and unlimited adults. Just call or text 831-535-2465 and together we'll plan a fun music making party to celebrate your child's special day. We recommend a 30 to 45-minute music program that begins 30 minutes after your official party start time. Please call 831-535-2465 for information and pricing on larger events. Please fill in the request form below for parties in Santa Cruz or Santa Clara Counties of California. *Due to the individual attention given to each birthday party/event, we require 10 business days advance notice. "Dear Lizz, thank you again for the wonderful, extra-fun birthday celebration for E. Your dazzling skills were so evident to all our guests, and afterwards people were raving about how much they enjoyed it, how professional and skillful you are, how much fun they had. Seeing E so happy was fantastic, and watching her teach you a new version of "Twinkle Twinkle" was priceless! I don't think she has very much participated in the actual singing in class before, but she takes it all in and sings constantly at home. When it is nap time, she insists on listening to "her" music (your music) as she is falling asleep. She knows dozens and dozens of Music Together® songs by heart and always wants to hear them or sing them. 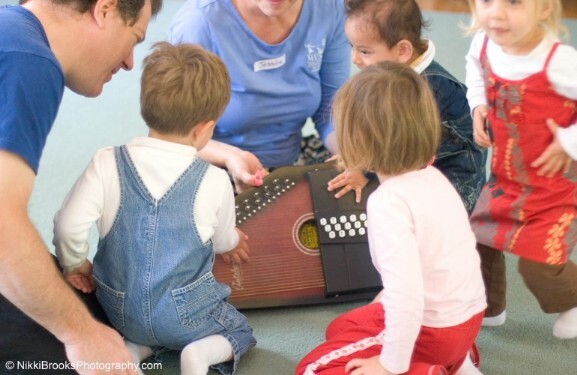 We are looking forward to the next session in the fall, and someday to bringing baby A to her own music classes! "Thank you so much for leading a fabulous special music class for my birthday party, and for giving me some egg shakers and dynabands. I keep telling my mommy "I want happy birthday party Cassie again." XXOO, Cassie"
"I wanted to take this time to tell you about the wonderful experience we had with one of your Music Together teachers! My daughter Shannyn and I have been enjoying Music Together since 2005, and just a few sessions ago we came across one of your new teachers named Marya, and we have been taking her class ever since. My girls enjoy her teaching style so much that we decided to invite her to our home for a Music Together birthday celebration. I wanted you to know that she was extremely professional, tremendously entertaining, and so, so sweet with all the guests invited to the party. She also made my daughter, the birthday girl, feel very special as well plus performing all her favorite songs too. I think teachers like Marya should receive the praise that they truly deserve and be recognized for all their wonderful talent and their special personality that creates a warm, fun, and educational environment for the children and their parents. I also would like to take this time to thank Tammy and Elizabeth for helping me plan this wonderful event for my daughter and her friends by being able to provide me with the last minute gift idea for all my little guests by letting me purchase colorful shaker eggs to give to all of them." "We have had 4 Music Together birthday parties and they have all been terrific! The teacher is amazing - engaging children, parents and other party guests. The music is always personalized to include our daughter's favorite songs as well as their favorite musical activities. Everyone always remarks on how much fun they had." "Thank you so much for all you have done for our family. We love you, your company, and the Music Together program. JB’s birthday was a smashing success. The children all had a great time, especially the birthday boy. The joy on his face when he followed you around the yard while singing about trains was a priceless family moment. My father kept interrupting me during the music to tell me how impressed he was. You are the real deal and we love you! – Shawn, Lori, JB & Jessie"
"The party was wonderful. Teacher Lisa was exceptional! Everyone had a fun time (kids and parents alike :-). Emily did great with the crowd, noise, and overall party. My husband and I now have very special memories of her 1st birthday and many of them were interacting with her during the music time.I received multiple calls and texts today telling me how much fun the families had and what a fun way it was to celebrate a 1 year old birthday. The party continues even today....Emily has played with her birthday egg shakers all day.Thanks for all of your help and guidance.WE LOVE MUSIC TOGETHER!"